Frans Hals was born in Antwerp and in 1580 and five years later his family moved to Haarlem, North Holland, to escape the Spanish invasion that year. Frans remained in Haarlem for the rest of his life. After the move Frans's younger brother Dirk was born. Dirk followed in his brother's footsteps and became a painter and he was heavily influenced by his elder sibling. Frans Hals was born catholic and he grew up in a Calvinist state. 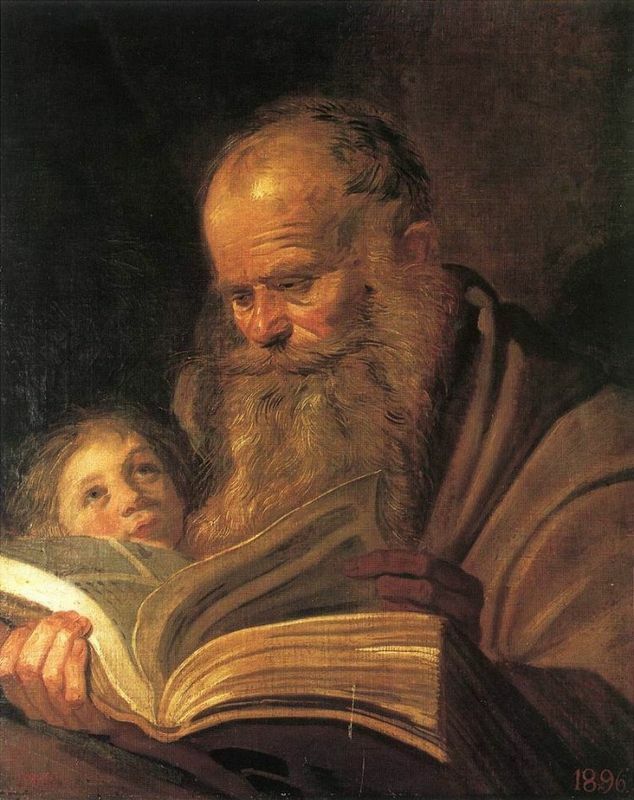 He most likely retained his faith throughout his life due to his choice of subject matter which focused on children and portraits of marriage. Hals specialized in the art of portraiture and used this specific style to nurture his oeuvre and express his talent. Most Dutch artists at the time typically specialized in one specific genre. Between 1600 and 1603 Hals studied under the artist and art historian Karel van Mander who was a fellow Flemish immigrant living in Haarlem. Evidence of Hals studying under van Mander is shown in his inventory documents. It was in 1600 that Hals also became a member of the Guild of St. Luke in Haarlem at the age of 27. In 1610 he became a master and in 1644 was elected a deacon. 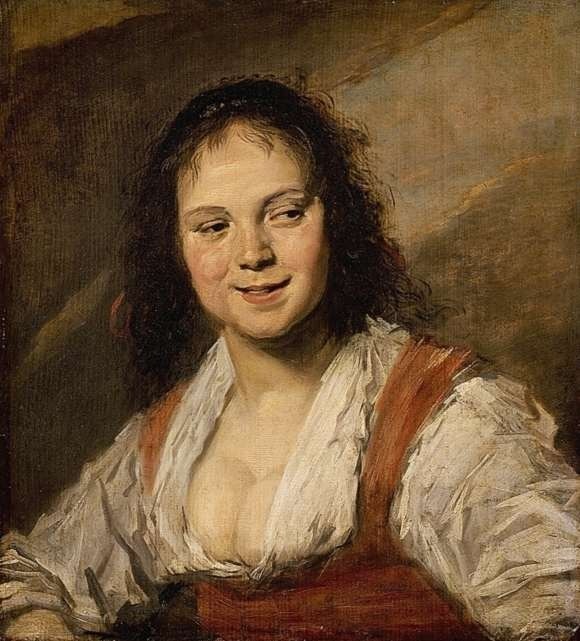 Hals married his first wife, Anneke Hermansdochter Abeel in 1610 and they had two children together. Sadly, Anneke fell fatally ill and died in 1615. Just two years later Hals married his second wife, Lysbeth Ryners, with whom he had eight children. Four of Hal's sons went on to become painters. 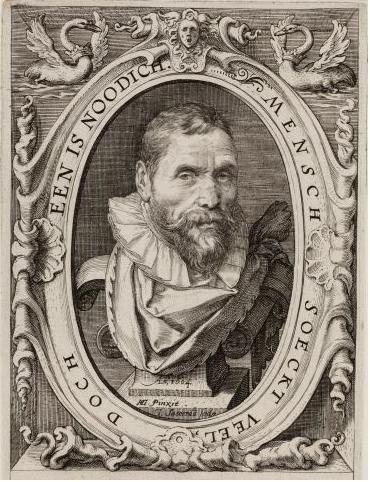 The earliest known example of Hals' work was the piece Jacobus Zaffius, completed in 1611. 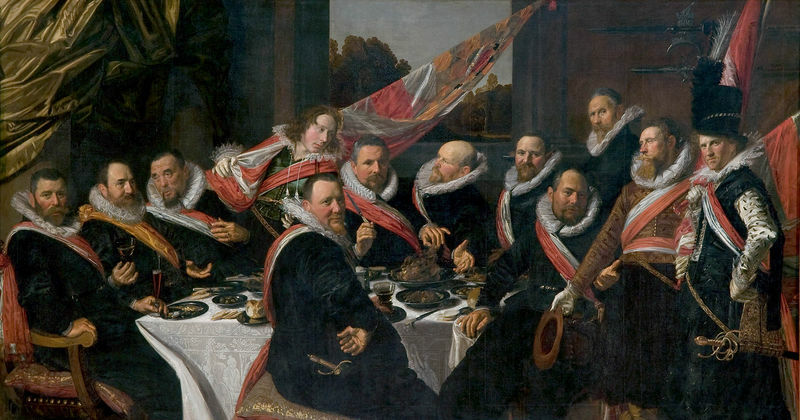 However, the artwork that launched his career was the 1616 life-size group portrait, Banquet of the Officers of the St George Civic Guard. Frans Hals achieved fame during his career but like so many artists of the time, he also experienced financial difficulties. This was most probably a result of his bad handling of debt and his need to support his large family. Documents state that Hals was summoned to court many times to settle his debt affairs and in 1652 he had to settle a large bakery debt which resulted in him handing over most of his inventory. Consequently, he was destitute and had to be provided with an allowance from the municipality. In a bid to overcome his money problems, Hals also worked as a restorer, art dealer and art tax expert for the city councilors. Hal's subject matter centered on people from all walks of Dutch society. If he wasn't commissioning works for the wealthy, he would paint subjects from the lower classes and artisans in and around social gatherings, bars or taverns. The artist did not create dramatic images or allegorical-themed work like Rembrandt but instead took the expression of characterization to a whole new level. This style not only extended to the mere depiction of the subject in the painting but also the painting techniques he used and his execution of the canvas. 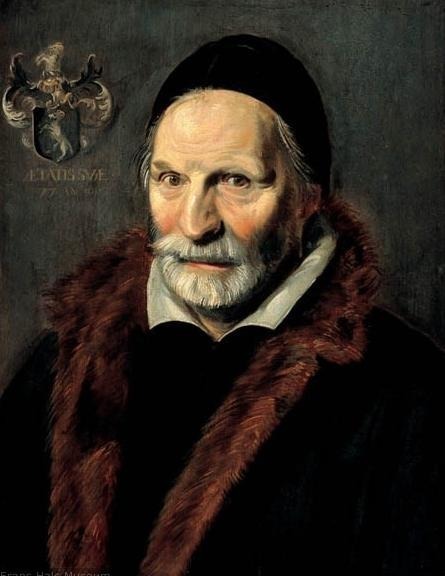 Hals drew inspiration from the Realism art period and style and had the ability to express his work with a much freer approach than most Baroque artists, as he broke various conventions with regards to painting techniques. He went on to create a more radical approach to painting style and diversifying his images using various colors to form new ways of seeing light that was beyond the traditional methods of his time. Hals did not choose to paint objectively like Vermeer; rather he painted subjectively in recreating the environment, subject, posture and overall depiction of the subject to express their individuality, personality, context and surroundings. 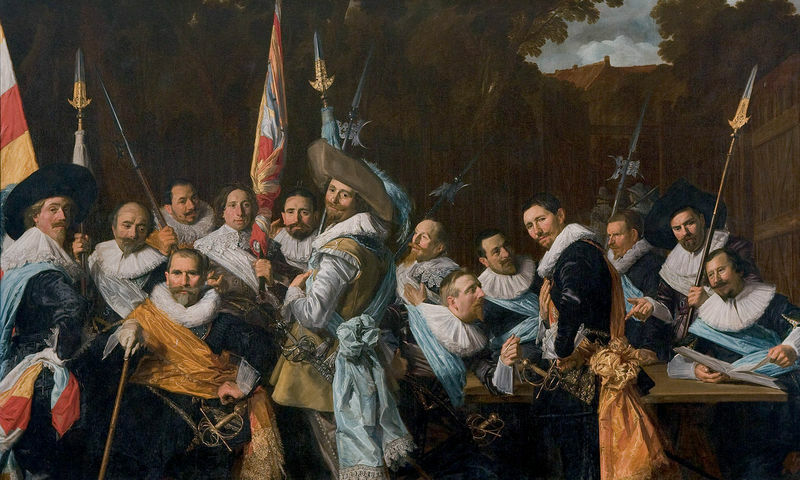 During his career, Hals completed a total of 300 paintings, the majority being large group portraits of the wealthy. He gained popularity for his stylistic oeuvre and free expression and due to the fact that portraiture was in high demand during the Dutch Golden age. Hal's exciting creativity and painting style soon spread throughout the Netherlands and influenced many artists during that time. Unfortunately, at the end of the 17th century Hal's style and work fell out of favor like so many other Baroque artists and his work was often sold for a few pounds as families had to sell some of their inventory to keep up with tax payments. Many of Hal's paintings went missing and were lost or even destroyed during the two centuries that saw his popularity wane. Frans Hals died in Haarlem on 26 August 1666 and was buried in St. Bavos Church. His sons carried on his work and stylistic legacy but the failing market, change in tastes and civic wars made it hard to follow such a prominent artistic career. Hal's wife, Lysbeth, was a left a widow and is believed to have died in obscurity and poverty in a hospital in Haarlem.